Lose yourselves amid the hysterical waves of a gorgeous river and the lashing shower of monsoon rain. 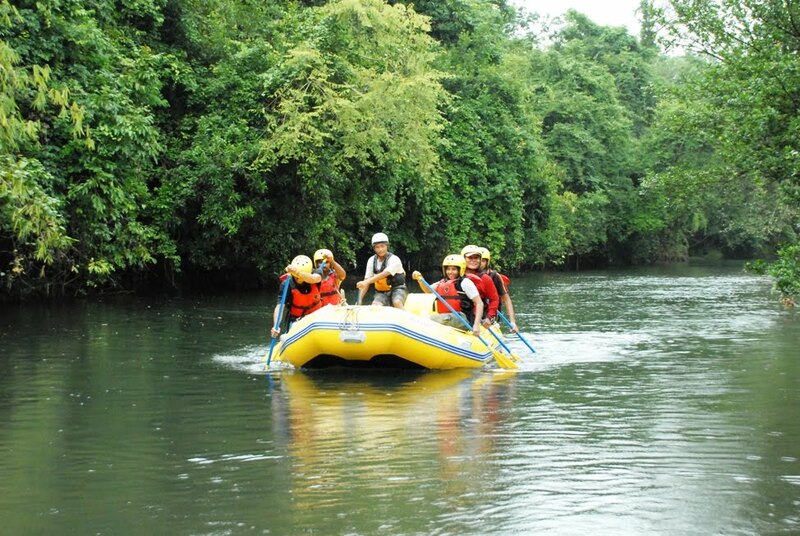 Welcome to Cherupuzha in Kannur district in Kerala from where starts the exciting rafting on the River Tejaswini. Those who are in the quest for extreme adventure, here, is a river that will satiate all your dreams and desires. 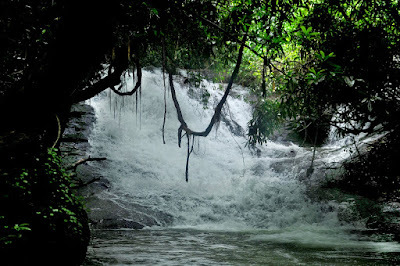 The river, which is also known by the name Kariamkode, originates from the Brahmagiri hills of Coorg forest in the neighbouring State of Karnataka, and flows through the districts of Kannur and Kasaragod before it meets the Arabian Sea near Nileswaram. 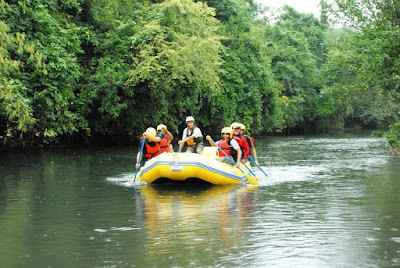 The river is 64 km long of which about 20 km is ideal for rafting. Tejaswini River has many surprises that would give a memorable rafting experience for all. The thick foliage that strides into the river, the rocky banks, branches of huge trees that lean over the river, the magnetic swirl all make the rafting a mesmerizing experience. 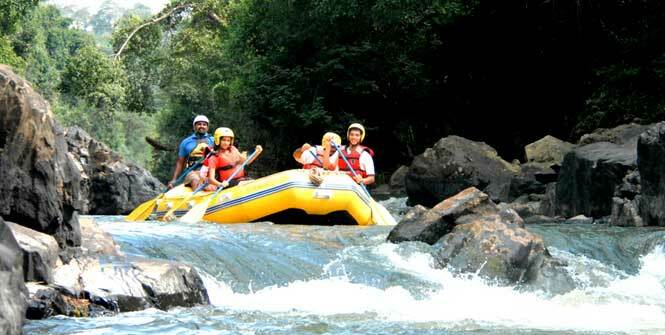 The rafting starts from Kolladi near Cherupuzha where you can let your inflated boats to the wild waves of Tejaswini. Awaiting you is a series of thrilling experience that will unravel the many faces of Tejaswini. From the nearby mangrove forest a flock of bats, with their huge wings spread out, would welcome you. 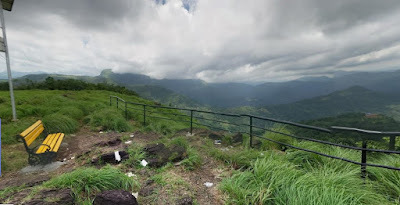 You have to pass the dense forest of Kasaragod and Kamballur to reach Chemmaram kayam, the deepest point in the river. Keep your heads down in order to escape from the drooping branches. Be watchful, you might even encounter some snakes in these woods. Proper precautions should be taken prior to the rafting. Always remember to follow the instructions of your raft guide. Please don't stand up if the current is strong and if there are several rocks and boulders along the course. Life-jackets, helmets, repair kit, and first aid box are compulsory. June, July and August are the ideal months for rafting. Location : 65 km from Kannur and 35 km from Payyanur. Nearest Airport : Mangalore (119 kms), Kozhikode (150 kms).